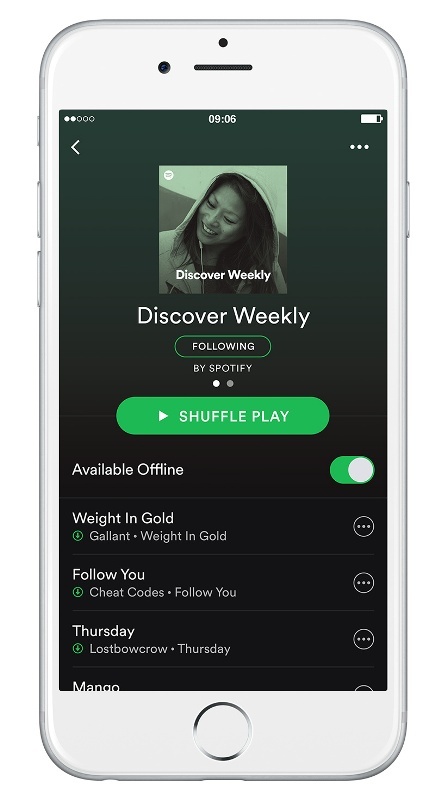 Spotify is happy to announce that it’s Discover Weekly service has almost hit the 5 billion mark after its launch. The playlist has garnered 40 million users to date! Being the world’s most popular music streaming service, Spotify is proud to announce that, indeed, they are almost hitting 5 billion tracks ever since the playlist called “Discover Weekly” was launched in June of 2015. We here at thefanboyseo.com love this playlist as well, particularly me, as I write stuff for the site. The Discover Weekly playlist is updated every Monday morning and offers the best music recommendations based on what the user has been listening in the past. Even better is that its presented in a “mixtape” format making it very personalized. Its really the perfect reason to expect Mondays. More than half of all Discover Weekly listeners come back the following week. More than half of all Discover Weekly listeners stream at least 10 tracks from each week. More than half of Discover Weekly listeners go on to save at least one song to their own playlist. Discover Weekly is most popular among 25-34 age group, closely followed by the 55+ age group. The top three genres streamed from Discover Weekly since its launch are (1) pop, (2) indietronica, and (3) indie pop. Discover Weekly isn’t just giving us users something to bop our heads to, it also helps artists. Believe it or not over 8,000 artists that gets played on radios were discovered using the Discover Weekly playlist. Some of them include BØRNS and Halsey. In other cases, artists got a bump from Discover Weekly in terms of following which also converts to downloads or album sales. These artists include Transviolet, Tasty Treat, and Safakash. Meanwhile here in the Philippines, the most streamed artist on Discover Weekly are Boyce Avenue, Jasmine Thomspon, Austin Mahone, and Travis Atreo to name a few. Now Spotify is giving a big “thank you” to the music fans who made Discover Weekly such a huge hit. For more listening pleasure, check out the all-time top tracks listened to most on Discover Weekly. CES 2017: Updated Nvidia Shield TV Announced!